Cloud Climbing Beauty: Avon's Best Buys of Campaign 25! Happy Thanksgiving! 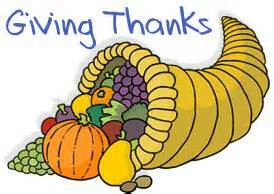 I am thankful for all my good customers who are helping me reach my Avon goals each campaign and for the year. Some of you are new and some have been loyal customers almost since the beginning of my business almost 29 years ago - and there are many more in between the new and "seasoned" ones. :) It takes all of you with your orders large and small to make my business a success, so thank you, thank you, thank you! And a special thank you to my helpers who bring me orders from those they work with or have contact with in other ways. I have 5 or 6 of them and one of them who has been my helper for many years is retiring soon and moving, so I'll miss her. Pg. 37, Lowest Prices Ever on Mega Effects Liquid Eye Liner ($4.99) and Mega Effects Mascara ($7.99). Pg. 39, True Color 8-in-1 Eyeshadow Palette for $6.99 and available in 3 shade combinations. Pg. 41, True Color Eyeshadow Quads are LPE of $4.99 and Eyeshadow Duos are LPE of $3.99. Pg. 45-49, All Lipsticks are available for either $4.99 or $5.99. Pg. 51, All Nail Enamels except the Gel ones are your choice for $3.49. Pg. 53, Make your eyes pop with a liner while they are on sale. A customer favorite is the Always On Point and it is at LPE of $3.49. Pg. 55, Don't forget your lashes either. You need to replace your mascara about every 3 months, so get a backup to have on hand while most of them are on sale for $4.99 and $5.99 each. You'll find the Wash-Off Waterproof for $4.99 on page 66. Pg. 57, Glimmersticks are any 4 for $10! They won't be marked any lower when you figure the individual price, so get them for your eyes, lips, and brows now. Pg. 61, Anew Age-Transforming Foundation is LPE of $10.99 and most other foundations are on sale as well. Pg. 73, Haiku is LPE of $9.99. This is a top seller and there is a scent spot on the page. Pg. 78/79, Femme is LPE of $15 and Rare Gold is LPE of $9.99. Pg. 91, Black Suede Essential is LPE of $9.99. Pgs. 97-103, Anew skin care items are each less than $20 each. Saving money on your skin care will leave you with more to spend on gifts and the holiday festivities. Pg. 105, Anew Clinical Dark Circle Corrector is LPE of $17.99. Pgs. 112/113, Mix or Match any 2 of the Clearskin items for only $6.99. Try the Black Mineral Mask or the Invigorating Scrub. Tip: The scrub is also great for giving yourself lovely soft and smooth hands. Pg. 181, SSS Bath Oil in the 16.9 fl. oz. size is only $6.99. Pg. 183, Mmmm... SSS Supreme Nourishment with Macadamia Nut Oil and a warm macadamia & vanilla scent. Now that is a treat for your whole body! The Creamy Body Wash is $3.49 and the Cream Oil Lotion is $4.49. Pgs. 192/193, Foot Works collections are always a great gift. We have a 4-pc collection with Toasted Macadamia Nut and a 5-pc collection with Lavender and each collection is only $9.99. They'll make great teacher gifts! That's enough for now. Don't forget to place your orders from the Avon Living catalog as soon as you know what you need, because some items are already selling out and won't be here in time for Christmas. Not many items, mind you, but a few. I know that the Inspirational Mugs have been a big hit and won't be here on time, because I ordered two of them myself. :( I'm just thankful that I will be able to get them, even if I have to make them Valentine's Day gifts!